Discussion in 'Feature Requests, Bug Reports, Site Questions' started by sothis, Jan 10, 2019. How do I read manga on Anime-Planet? There are many reasons to use Anime-Planet. Registration is free, you can track all of the manga, webtoons, OELs and light novels you've read, you can get personalized recommendations, and many more features. Track all of the manga, webtoons, manhua and light novels that you’ve read on Anime-Planet. 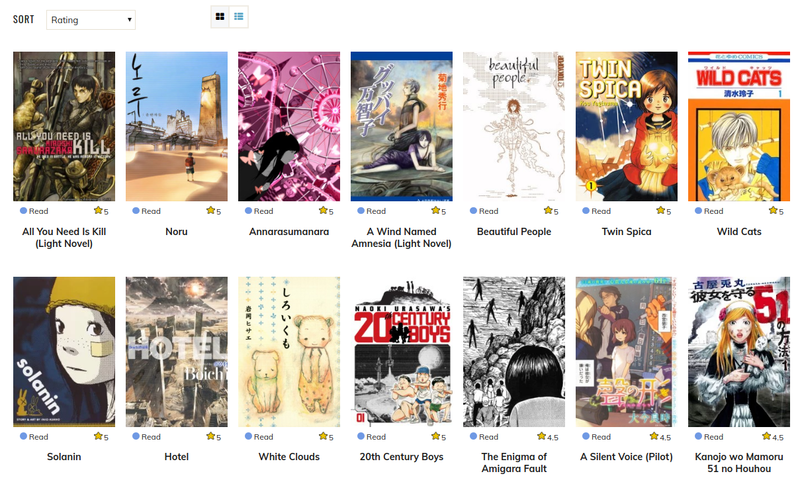 You can share your manga list with your friends using filter options such as your top rated, or manga that have certain tags. After you create your manga list, we’ll show you how much of your life you’ve spent on reading manga, as well as your stats. Anime-Planet is a large information database for everything related to manga. We list synopses, tags, and other information about tens of thousands of manga, webtoons, manhua, light novels, and OELs. See something that looks good? Mark it “want to read” in your manga list to keep track of what you want to find later. 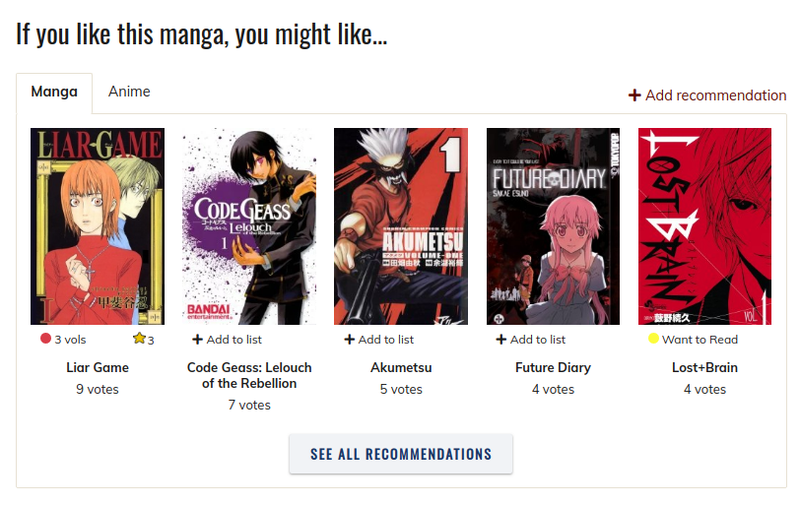 You can also get recommendations for similar manga by looking up any manga in the database. For example, here is a list of manga you might like, if you liked Death Note. 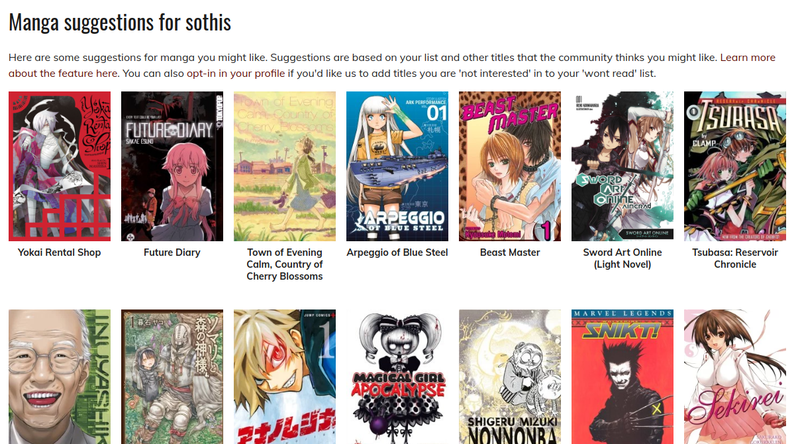 After you’ve created a manga list, you can get personalized recommendations for others you might like. 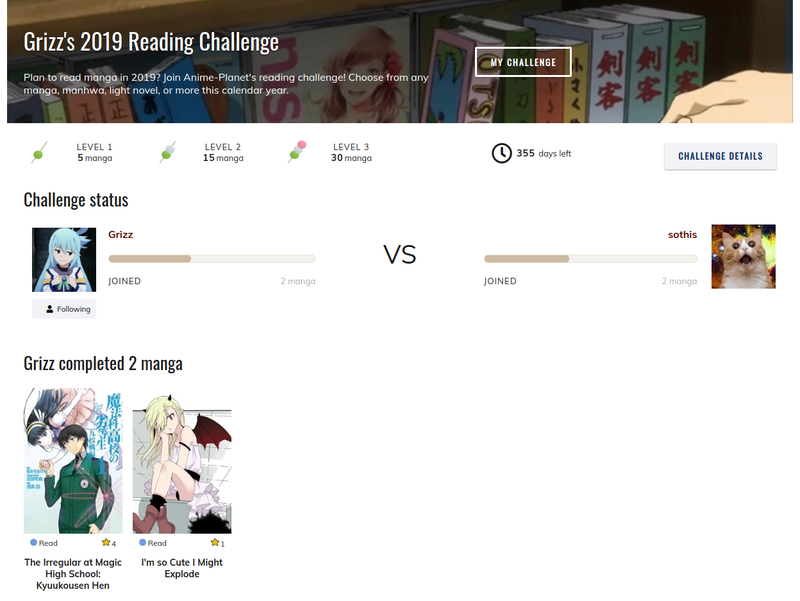 Join any of Anime-Planet community challenges to challenge yourself and to compete with your friends, including our 2019 Reading Challenge. 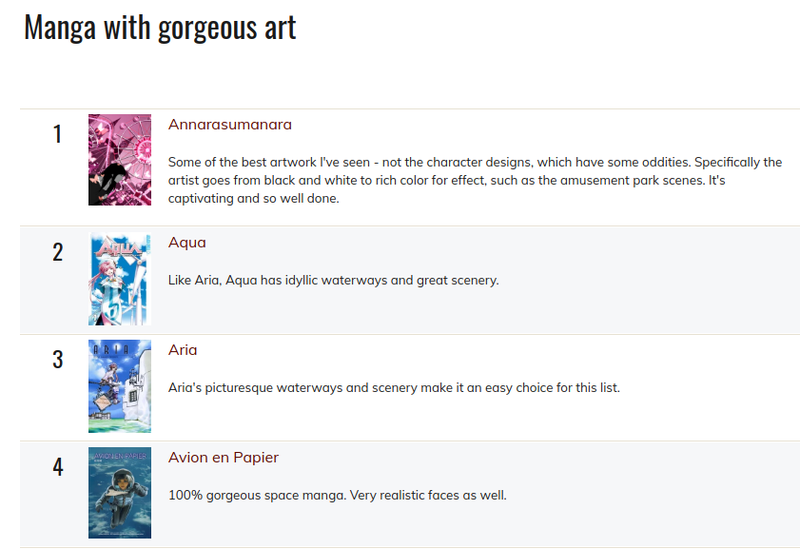 You can create custom lists for manga, anime, or characters for any subject you’d like. Share your suggestions with the community, such as the best sci fi manga, the best anime to show to your parents, and more. We have thousands of anime available to watch on Anime-Planet, legally, through our partnerships with the anime industry. Availability depends on where you are located, and what our partners offer. All of the above… but for anime! You can track all of the anime you’ve seen, get anime recommendations, browse season charts, and more. We have an extensive character database, voice actor information, and many other site features. Sign up today for your free account. If you decide you're no longer interested in keeping your Anime-Planet account, you can delete it yourself from this profile page. But we hope you decide to stick around, as there's tons to do here on Anime-Planet! EarthboundGoddess1, Dieudena97, ScarletPolaris and 5 others like this.